Posted on March 28, 2016 by Neil S. Siskind, Esq. 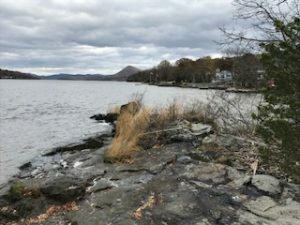 The Neil S. Siskind Nature Preserve is over 8 acres of environmentally-pristine waterfront land in a magnificent setting along New York’s majestic Hudson River, and exists to impress upon society the value of our natural resources. This precious land preserve is a symbol of the beauty and value of nature all around us. 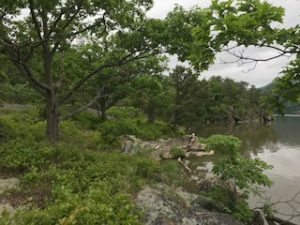 The Preserve includes a variety of species of animal and plant life, and is a precious example of the thoughtful maintenance of New York’s priceless open spaces. 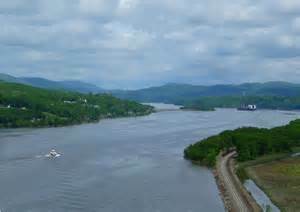 The land’s uses are limited to outdoor recreation such as hiking & climbing, and the study of ecology, nature and land use. 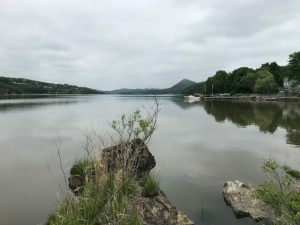 The Neil S. Siskind Nature Preserve allows for the intelligent contemplation of our valuable natural resources and the most effective ways to protect and maximize them. 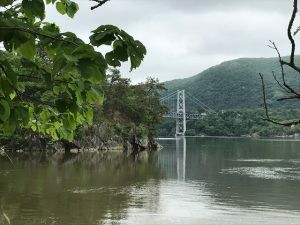 Historical Significance: The Preserve marks the approximate location of “The First Chain” planned for keeping British ships from progressing up the Hudson River during the Revolutionary War. Understanding the unlimited facets of the earth and the environment can be a mind-altering and life-changing education for youths who have never been properly exposed to science, wildlife or environmental issues. Our team of ecologists, land surveyors and attorneys are presently reviewing the feasibility of providing small boating activities, educational obstacle courses, greenhouses, hydroponic gardens, aviaries, koi ponds, butterfly sanctuaries, and observation towers, all which can be used as “outdoor classrooms” to help younger generations appreciate nature and the existence of a world bigger than their own, to teach the values of philanthropy and conservation, and provide youths with greater meanings for their lives. Don’t give to get…..give to give. No, it’s not the start of a joke. Tonight on the ABC program, Beyond the Tank, Barbara Corcoran visited the owners of a company called, “The Coop”, in which she invested. The owners told Barbara about a partnership they formed with a third party to launch another store location based on their business, trademark and trade dress. Barbara liked the business model and advised the owners to forego creating franchises due to the legalities involved, and to continue on with this partnership model that seemed to work . What Barbara never explicitly said (which probably had Mr. Wonderful, like myself, jumping up and down with frustration), was that this is “effectively” a “license agreement” (or should be). A partnership where one party provides the Intellectual Property and derives income or distributions for such, and the other party sells a product or service using the Intellectual Property and receives income or distributions for such, is, effectively, a license- if structured as such. But, if they structured the deal as a partnership, as indicated, then it is what it is. It may actually be a partnership that is intended to operate in the same manner as a license. But it’s unclear why they would structure the relationship in this manner. So, it may not be a license, and, Barbara may be correct in not calling it a license- but it would be a mistake to have done this in any other way. I think that if the transaction by “The Coop” was tailored as a true partnership, as it was described on the program, rather than as a license agreement, it was a poor idea. Even if a true partnership arrangement is carefully worded, a license agreement, where the trademark and trade dress are licensed from one party to another only for a fixed term in exchange for an agreed fee, is much safer for the Intellectual Property owners in order to protect their exclusive Intellectual Property rights. Intellectual Property owners sometimes improperly use license agreements, instead of franchise arrangements, to avoid the time and costs of compliance with franchise laws. This topic is outside the scope of this article which assumes that the parties are in compliance with applicable franchise laws. If the Intellectual Property owners are actually partners with the third party, as the program indicated, and not “licensors” to the third party, then their agreement would be neither a license nor a franchise, but, simply, a partnership. The laws discussed herein can find application in partnerships, limited liability companies and corporations alike. Thus, consideration and deliberation of these laws were warranted in whichever form of partnership was used. About the Author: Neil Siskind is President of The Siskind Law Firm, focused on trademark licensing, product distribution, real estate law and business turnarounds; Founder & Chairman of The Fatherhood Assignment™, a think tank and advocate for children with absentee fathers; Founder of National Fatherhood Day™; and Founder & Conservator of The Neil S. Siskind Nature Preserve, over 7 acres of conserved waterfront land along New York’s majestic Hudson River. Posted on March 15, 2016 by Neil S. Siskind, Esq. I receive complaints from clients everyday regarding online comments written by customers about their businesses, and even about them personally. Sometimes postings go beyond business reviews and become insulting, nasty and personal. I am seeing more and more cases where commenters insult individuals directly, aim to embarrass rather than critique, and even cases where people post photos of themselves with the intent of having their own photo and comments come up when people google another person or business….and this is stuff being done by adults, not kids. Very nasty stuff. People, more and more, lack any shame. People are taking a lot of time and effort to vent their anger and hate through use of the Internet and don’t care who sees their nastiness and cruelty….their employers, their parents, their children…..they just don’t care. We have taken a turn into a scary and unpredictable world. We don’t know where the next nut will be presenting him or herself as a customers, guest or client, or even an employee. What would be an un-rememberable, momentary disagreement in 1985, now becomes an online story in 2016 by angry, vindictive people who run home to their computers and mobile devices to try to exact revenge on anyone and everyone they dislike. Is this what our world is coming to? The unsuccessful and angry attacking the hardworking and prosperous people in their communities over the Internet? It truly is class warfare out there- even digitally- between the haves and the have-nots. The answer is “yes”. This is what the world is coming to. We see it in movie theater shootings, road-rages, school shootings, office shootings, and presidential races. People out there are angry, frustrated with life, and lashing-out at whomever and however they can. In addition, alcohol and prescription drug abuse is rampant and people are losing control of their minds and actions. Society is breaking down and people are off the rails, and the Internet is an outlet. It is noteworthy that just because commonly-used business and travel review websites were launched in order to promote legitimate reviews of businesses, it does not mean that the people using these websites are not bullies and vindictive people with harmful intentions and bullying activities. Just because they cloak their comments by claiming they are trying to warn others about a bad service or product, etc., make no mistake that these websites are forums for evil comments by evil folks who are often only seeking revenge, just like any other posting board or chat room. Writers use the cloak of a business-focused website to be needlessly cruel, lie, and digitally bully others. The best thing to do if you see someone getting angry and beginning to yell or scream in your store, restaurant, hotel or office is to keep the issue from escalating, have witnesses nearby, and just hope 30 seconds of disagreement does not become such person’s most important moment of their life that they need to tell the world all about. If they seem a little off the edge, or a couple of sandwiches short of a picnic, and harass you online, just file a police report. The police will not act unless there is a threat, but they are required to note that the person is bothering you and will have their name on permanent file should any harassment escalate. Then move on with your life…until the next character comes along. It won’t be long….